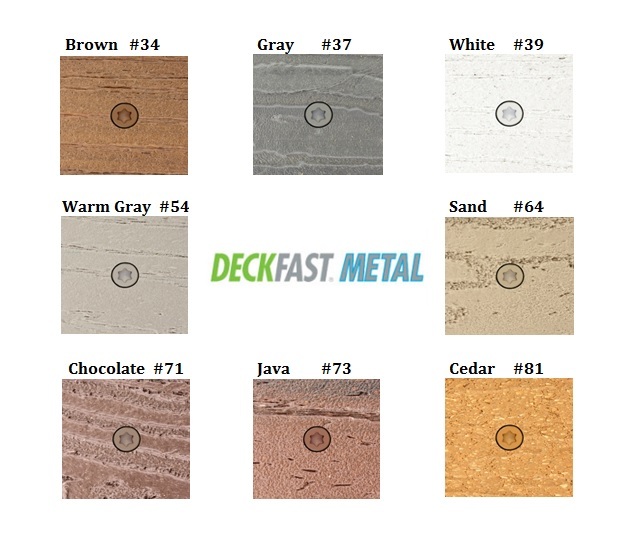 DECKFAST® Metal is a versatile fastener designed to attach every type of decking - PVC, composite, capstock, or hardwood to steel and aluminium substructures including Trex Elevations steel deck framing. 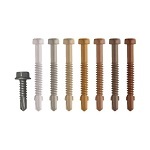 Screws are #10 x 1-5/8". To achieve a clean and uniform appearance, with screws set at a perfect and consistent depth below the surface use the Smart Bit Depth Setter to install. #3 Drill point with wings is designed to attach one inch thick decking to both 18 & 14 gauge steel joists as well as two (doubled-up) 14 gauge joists.